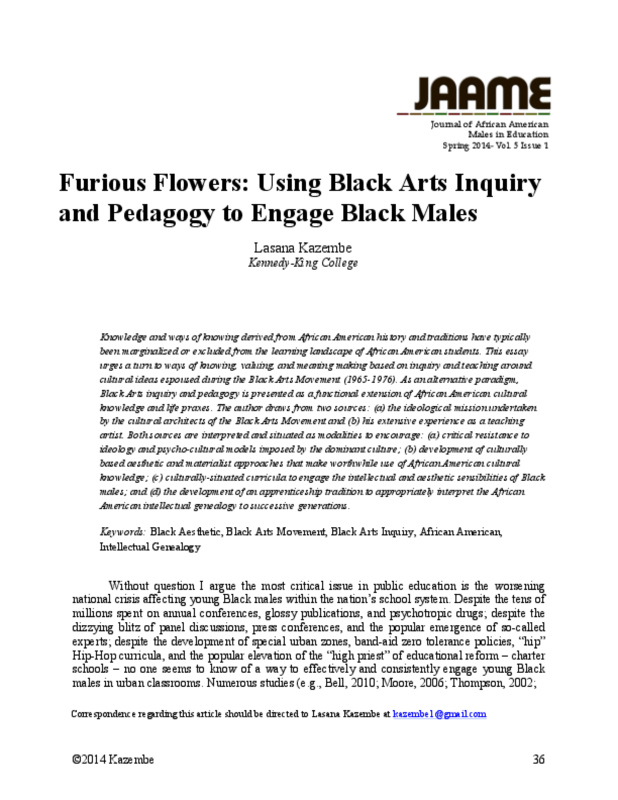 This essay urges a turn to ways of knowing, valuing, and meaning making based on inquiry and teaching around cultural ideas espoused during the Black Arts Movement (1965-1976). As an alternative paradigm, Black Arts inquiry and pedagogy is presented as a functional extension of African American cultural knowledge and life praxes. A Black Arts curricula encourages critical resistance to ideologies imposed by the dominant culture and promotes development of culturally based aesthetic and materialist approaches that make worthwhile use of African American cultural knowledge. "A Gathering of Leaders 2013" was a three-day conference convening 200 social change leaders working to improve opportunities for boys and men of color. 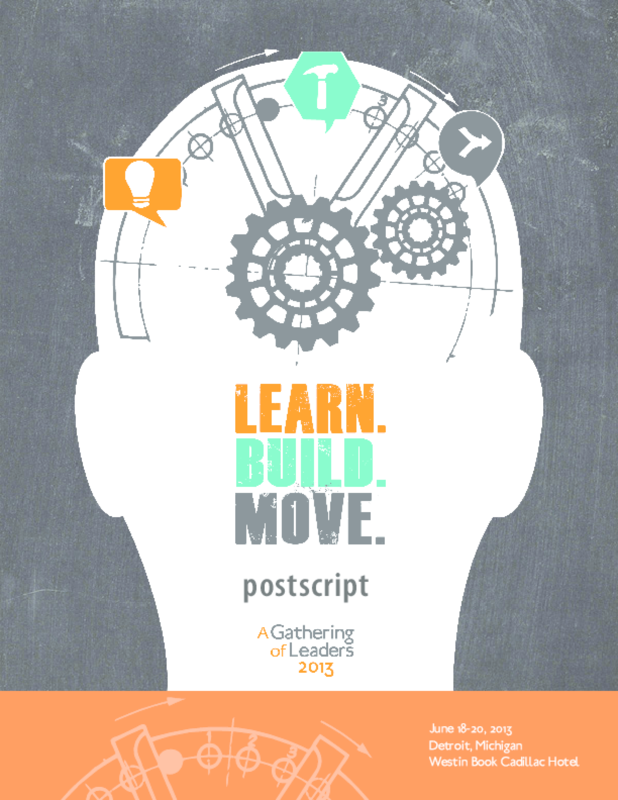 This report is a follow-up to the conference, highlighting the insights, recommendations, victories, struggles, and lessons learned of participants. 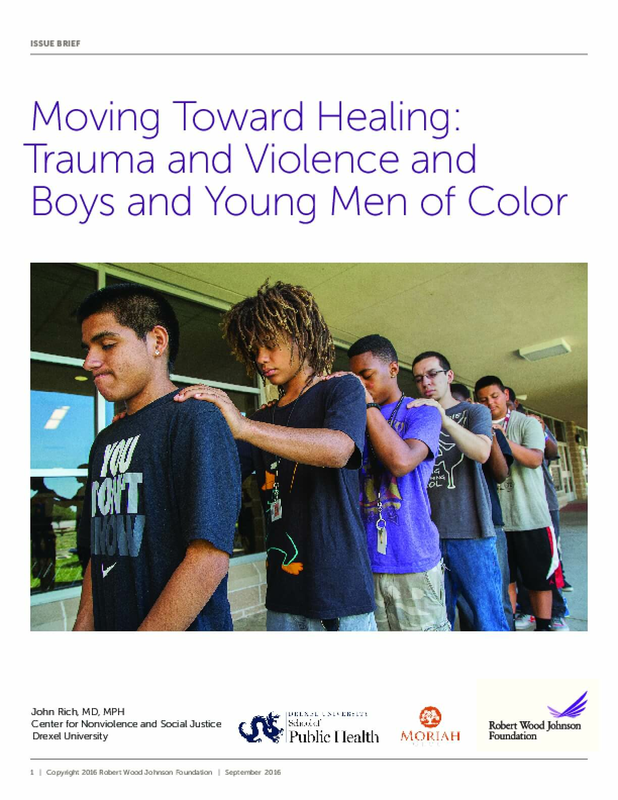 This report provides an important resource for leaders and practitioners working to overcome our nation's legacy of racism. 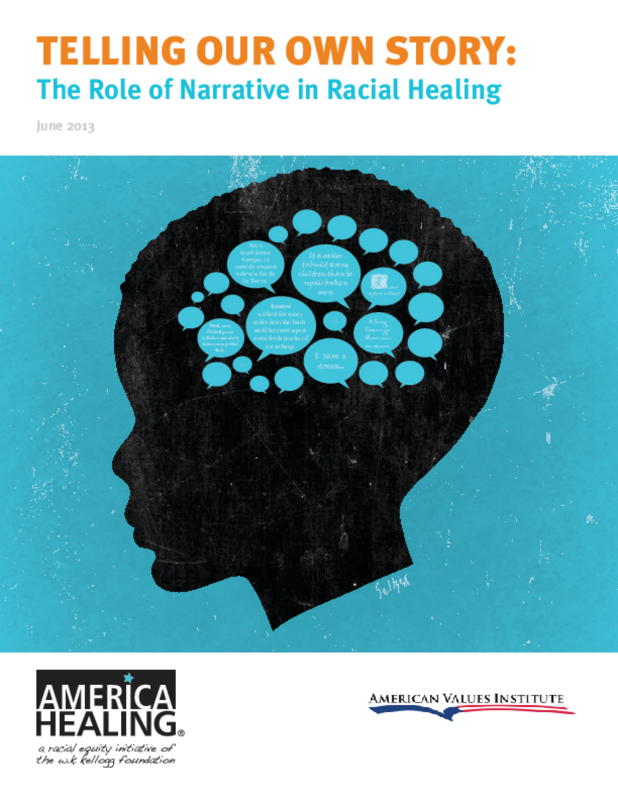 The authors present the emerging science of the power of narrative and do so within the context of efforts by diverse communities to find effective ways of communicating and creating new, authentic stories that honor the complexity of the past while forging a more equitable future. 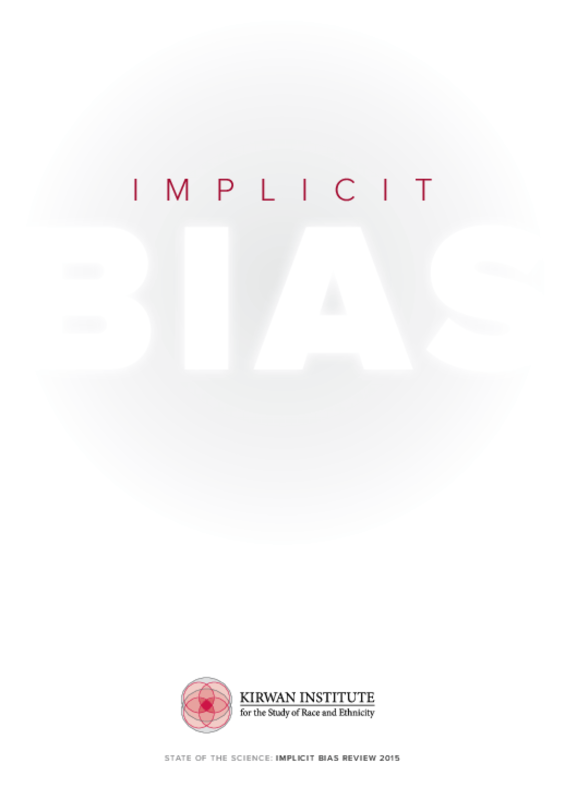 Advocates, researchers, and leaders across multiple domains are urged to integrate this emerging science about the catalytic role that narrative, individual story, can play in meaningful change strategies. 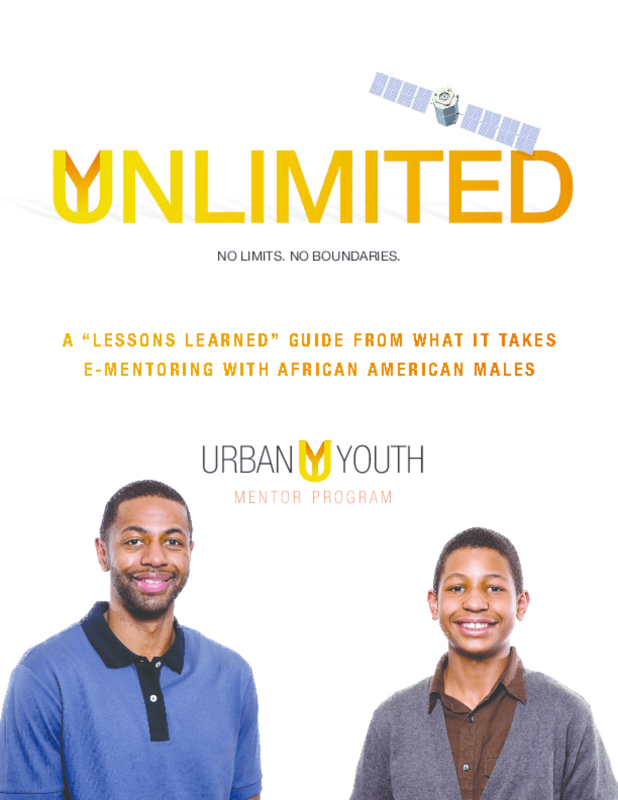 While there has been progress in the U.S. in terms of racial attitudes and opportunities, black men and boys continue to face challenges. 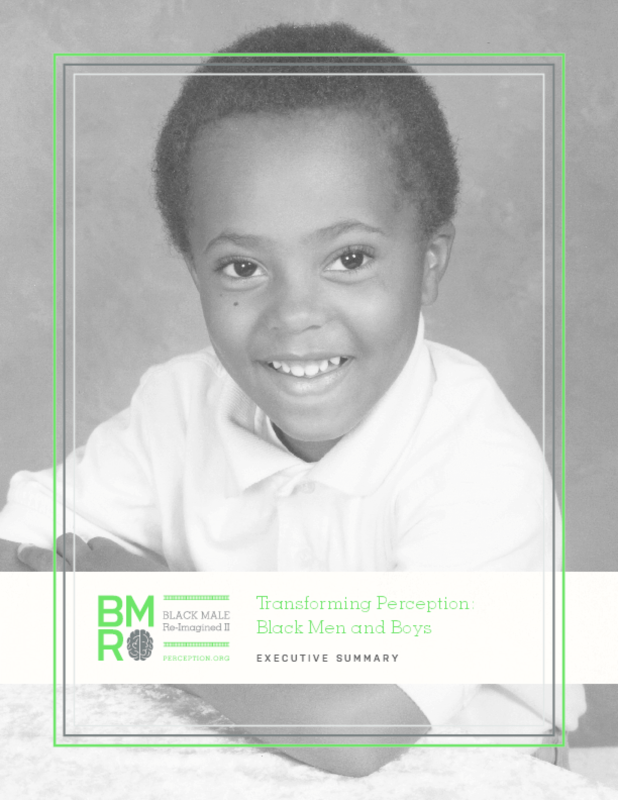 This report presents original research, along with current studies in social psychology and neuroscience, offering an empirically grounded analysis of how emotions and fears about race shape behaviors and biases.